Welcome to the Maui Dolphin's page. I am Mrs Lockey and I have the best job in the world! I am incredibly proud to teach each and every child in my class. Watching the children grow in confidence and seeing their fantastic personalities shining through in all that they do is amazing! In our class we all share the same high expectations and we all work hard towards achieving our individual learning goals. Scroll down to see a snapshot of the exciting things we have been getting up to in Year 2. Use the link below to find example questions you can use to build your child's reading comprehension skills! Our topic for the Summer - Oh I do like to be beside the seaside! Keep checking our class page for updates on our learning this summer term! Learnt a little bit of Spanish. Had an explosive time building and erupting volcanoes. Got lost in wonderful books during our English lessons. Dressed up as Mexicans in colourful ponchos and huge sombreros! Studied pop art and created vibrant sugar skulls for Cinco de Mayo. In Science this term, we have been learning all about animals and how they are suited to their habitats. We have linked this to our work in DT by designing and then creating our very own habitat in a shoe box! Harrowgate Hill's first Christmas Fayre was a huge success! 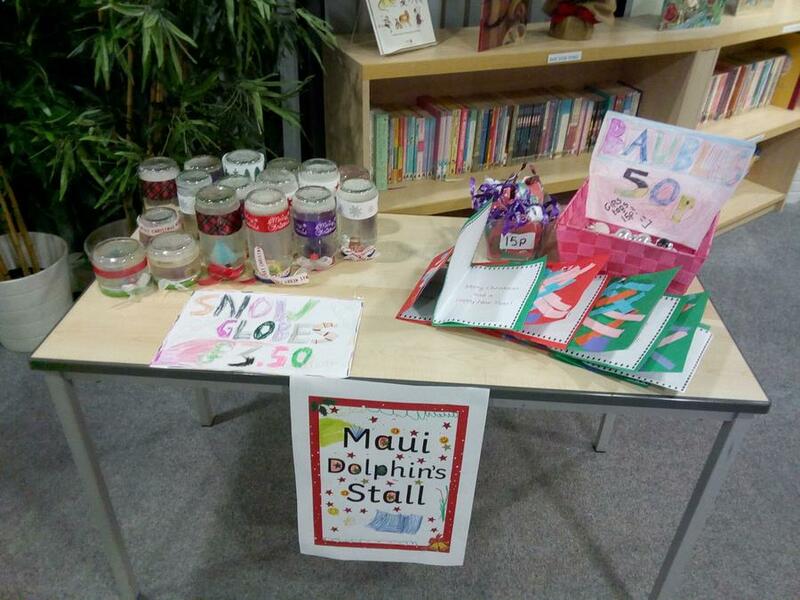 Mrs Lockey would like to say a huge well done to her Maui Dolphins for creating some amazing crafts for our stall. Our snow globes were very popular! We raised lots of money for our school and had heaps of fun too. Thank you to all the parents who supported us in this event. We hope you had as much of a magical time as the children. In English the children have been looking at how to write a letter. We read the story of 'The Jolly Postman' and really enjoyed exploring the letters he delivered to some of our favourite fairy tale characters. We couldn't believe it when The Jolly Postman came to visit us with a very special letter from Little Red Riding Hood! The children loved visiting St John's church and learning all about 'The Christmas Journey'. Some of us even got to dress up and retell the Nativity Story ourselves!